Venezuela protests, February 2015. Photo: A.Davey via Flickr. Ryan Brading is a Teaching Fellow in the Department of Development Studies at SOAS. He is author of the 2013 book Populism in Venezuela. His research interests include populist politics in Latin America and East Asia. The death of the charismatic President Hugo Chávez in March 2013 left an emotional, political and institutional vacuum in Venezuela. Chávez’s fiery rhetoric and alpha male persona captured the hearts and souls both of millions in Venezuela and Latin America, and among those that reject the widespread implementation of Western-led neoliberal hegemony throughout the world. It has been very difficult for Chávez’s chosen successor, Nicolas Maduro, to imitate him and fulfill the void left by his death. And following the December 2015 parliamentary elections, in which the opposition won a landslide victory, serious question marks now hang over the future of the Chavismo project. Since the Twentieth Century, Venezuelan politicians have successfully marketed themselves as the personification of the people, the embodiments of the ideals of society, and representatives of the collective will of the masses. In other words, they have created Democratic Caudillos (military leaders) and well-crafted ‘cults of personalities’ for disgruntled voters. This direct relation between the leader and the people, which is common in Latin America, is often described as populist politics. Chávez’s populism was one of the most original political movements of our time. Yet the long electoral success of Chavismo was also lubricated with the abundant oil revenues Chávez’s government received after taking full control of the oil industry in 2003. A wide selection of popular social programmes implemented by Chávez to improve the living conditions of people in marginalised and rural sectors of the country also helped enormously in consolidating the Chavista project’s electoral support. However, a decade after the crystallization of Chavismo as an alternative political ideology, which was underpinned by participatory democracy and gave the political space and resources for previously excluded citizens to decide and implement changes in their communities and shanty slums, the results of the parliamentary election held on 6 December 2015 clearly show that the Chavista model no longer has the unconditional grassroots support of the people. That is, the shift from Chavismo to Madurismo seems to have failed badly. There are several factors that can explain the downfall of a once mighty political machine. First, five weeks after Chávez’s funeral, on 14 April 2013, Maduro won a controversial election by just 1.49 percentage points. Shortly after the results were announced the opposition candidate Henrique Capriles demanded a recount. Yet, the auditing promised by the electoral authorities, which Capriles accepted, never took place. In spite of the unprecedented national frenzy seen during a week of mourning, which provided a great propaganda platform for Maduro’s campaign and used state money and personnel to bolster Maduro’s rallies, Chavismo without Chávez has proved to be a different and weaker political force. Second, the imprisonment of opposition leaders such as Leopoldo López for 13 years and nine months without any credible evidence has exposed a non-democratic and authoritarian side of Chavista-Madurista rulers. As a result some Chávez supporters don’t feel represented by the new elite now in power. Third, with shortages of basic food, personal hygiene, medicines, combined with the highest inflation and second highest murder rate in the world since 2014, Venezuelans from both camps have used their votes to express anger against a detached new Socialist elite. The days of exporting 1.5-2 million barrels of oil above the US$60 mark (reaching a high of $146 in June 2008) are gone. Less oil money has meant more limited electoral support. And despite having the world’s largest oil reserves, the daily realities of life in Venezuela – hours of queues to buy basic food stuffs, the scarcity of medicines, and challenges of making ends meet in the context of three-digit inflation this year – has understandably led to protests and created a desire for political change. Fourth, the government has argued for more than a year that this is an “Economic War” against the Revolution enacted by the American Empire and anti-Chavista oligarchs. Yet people are well aware of the comfortable lives of Socialist Chavista elites (Los Enchufados or the well-connected), the ease with which widespread corruption scandals are brushed aside, and the government’s denials about the involvement of powerful politicians in cartels and drug trafficking. Electorally supporting this version of the Revolution may for some seem like a betrayal of Chávez’s legacy. Following the 6 December elections, the opposition now has two-thirds of Deputies in the National Assembly and finally has the tools to change Venezuela’s political landscape. 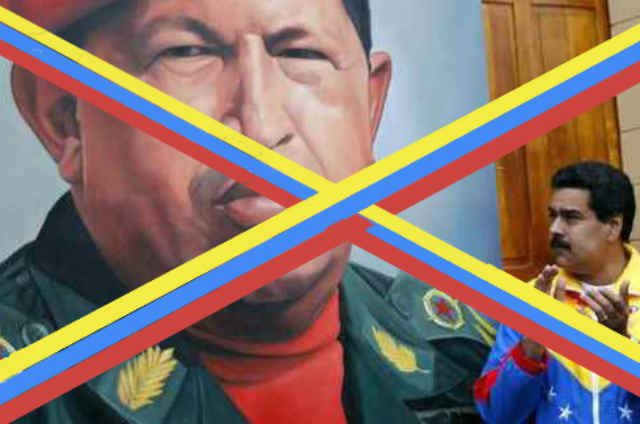 This is a big blow both for die-hard-Chavista loyalists, as well as left-wing individuals who supported the radical anti-neoliberal and emancipatory development programmes and agreements amongst developing countries that Chávez fiercely advocated during his time in office. If future elections are free and fair (i.e. if there is no vote rigging) and economic policies continue to deteriorate, Chavismo certainly faces a difficult road ahead. As a political project, Chavismo depends on a (late) founder and charismatic leader and abundant oil revenues. Further, the project has failed to deliver on its own promises. Chávez’s pledge throughout the 1990s was to end corruption, yet after seventeen years of Chavismo corruption is widespread across all aspects of society. Against this backdrop, Maduro now has two options. He can continue the radical and divisive populist stance he inherited from Chávez based on the argument that Venezuela and the government are victims of an “Economic War” carefully constructed by the American Empire and powerful Venezuelan capitalists. Or he can embark on a dialogue without any pre-conditions with the new elected opposition politicians in the National Assembly and thus find non-partisan solutions to the social, political (e.g. imprisoned anti-Chavistas) and economic problems Venezuelans are currently facing. It is now very likely that after half of Maduro’s term has elapsed next year the opposition will organise a petition calling for a referendum to revoke him. The future of Chavismo as an influential political force in Venezuela will depend on how current political leaders accept defeat and show willingness to respect those who think differently. Reconciliation is one of the key opposition buzzwords at the moment. But it is likely to take time for both camps to leave aside ingrained prejudice, build much-needed trust and embark on genuine efforts to heal and reconcile their differences.